Sabrina. Date of Birth: July 6, 2006 I'm a large girl (14 lbs) with beautiful green eyes. 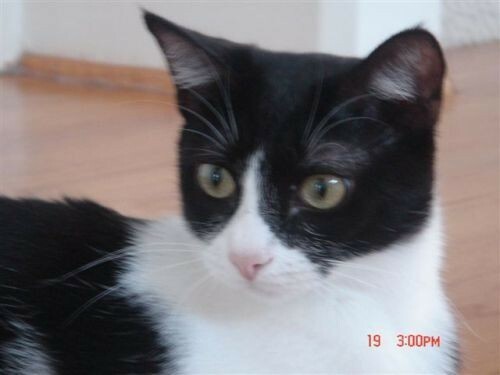 I'm sweet and subdued and will do well on my own or with one other cat. In fact, I would love to be adopted with my mommy, Summer, also listed on this site. We are big cats with big hearts! Please come by and meet us!